Product available. Ask for a quote! 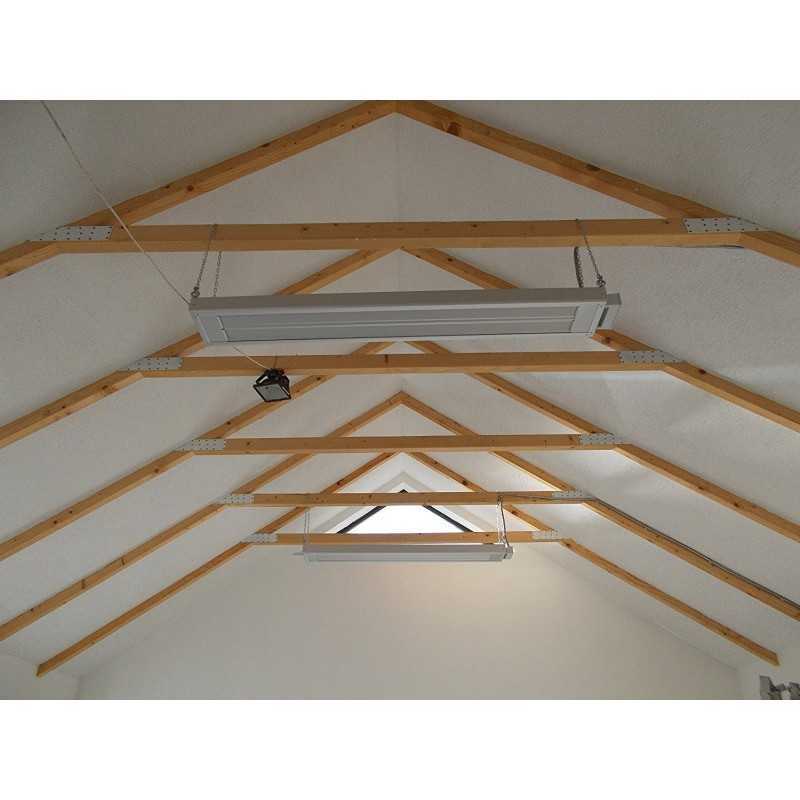 When choosing an optimal heating system for a specific area, must be taken into account several factors needed to perform a correct sizing of the system that if want to accomplish: the volume of the area to be heated, heat the area in its entirety or create a heating only in certain local areas, the installation height, the presence of obstacles over our heads, the type of place that you want to heat, the average outside temperature and internal etc. etc. 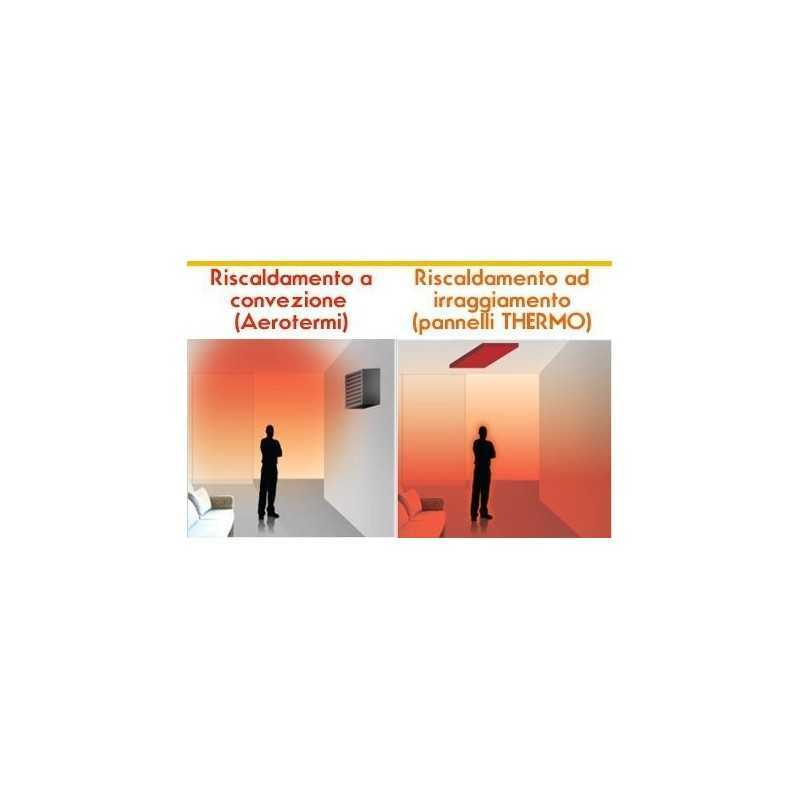 The THERMO panels fact exploit the advantages of a particularly innovative technology: radiant panels installed in the ceiling silver aluminum constituting at the same time the heat source and the radiating surface in direct contact with the air. 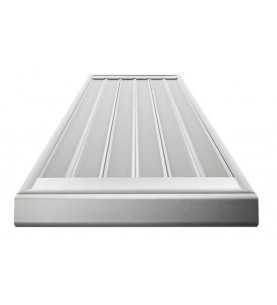 This allows to obtain an exceptional thermal performance in relation to power consumption, eliminating the disadvantages of the alternative heating systems up to now used in similar applications. 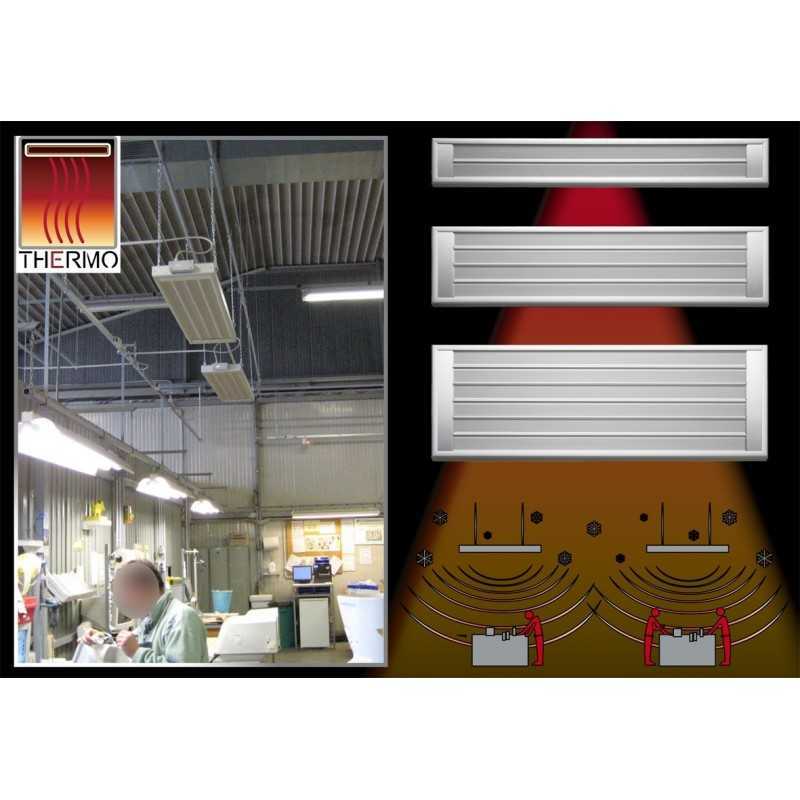 Suspended directly above the areas to be heated, the THERMO panels radiate heat at a lower temperature but with a much broader emission surface. 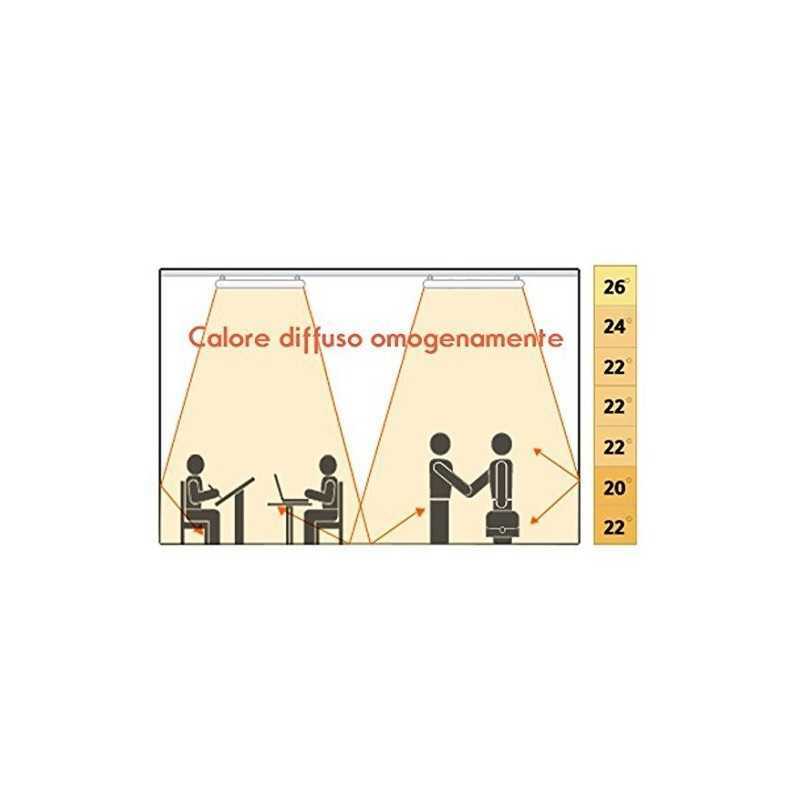 To reach the thermal comfort, the human body favors the exchange of heat by radiation than that for thermal convection and conduction to heat given from other heating systems such as air heaters and incandescent lamps that heat especially the air around us, dehumidifying excessively, increasing the movement of dust. 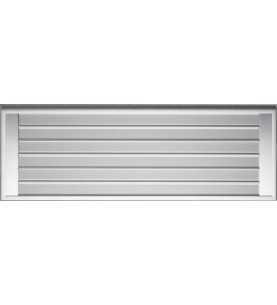 Suspended directly above the areas to be heated, the THERMO panels radiate heat at a lower temperature but with a much broader emission surface. 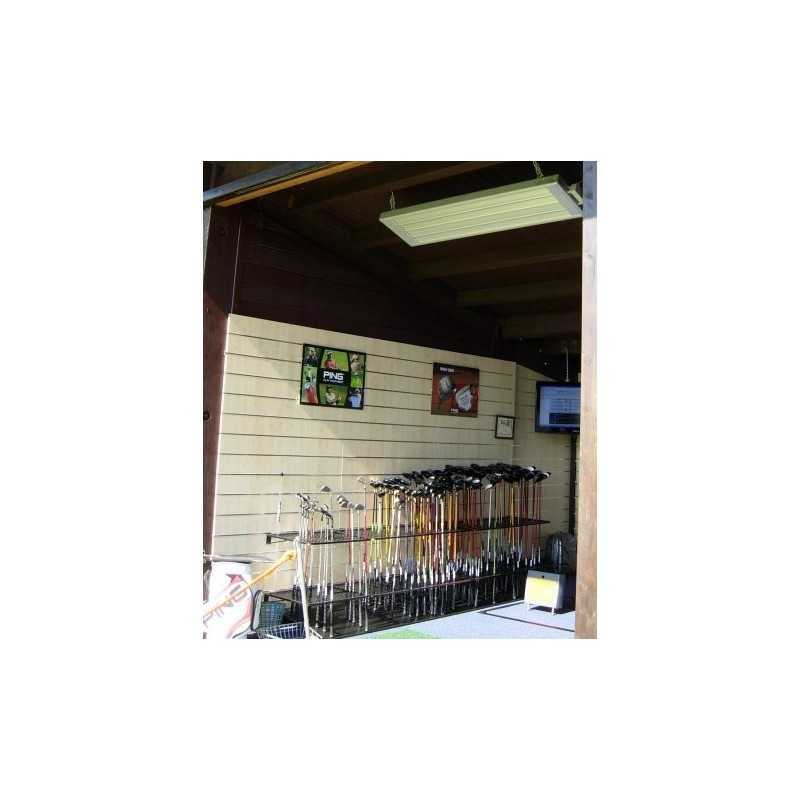 The heat transport is less hindered: the ceiling panel is not obstructed by furniture and does not present the need to intervene on the stable floor / base. 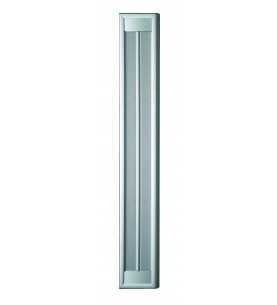 - Low temperature 150 ° C (ideal for mounting heights of up to 2.8 m in remote areas and closed walls - eg . 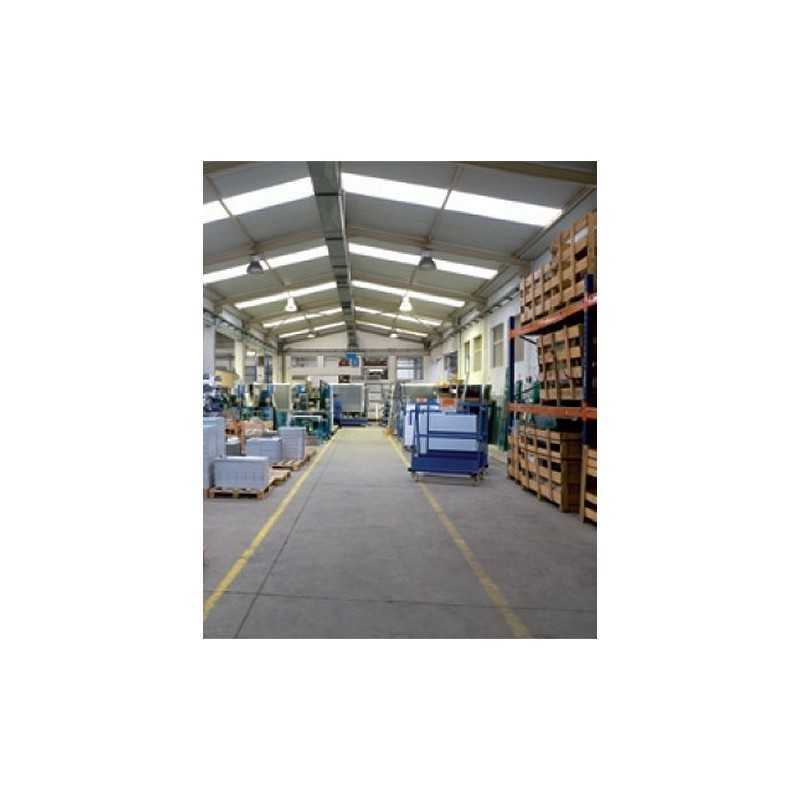 : offices, shops, gyms, small warehouses, storage rooms, work areas separated by walls). Dimensions in cm. (Lungh.xlargh.xprof.) = 167,5x40x7,5 - Weight = 12 kg. 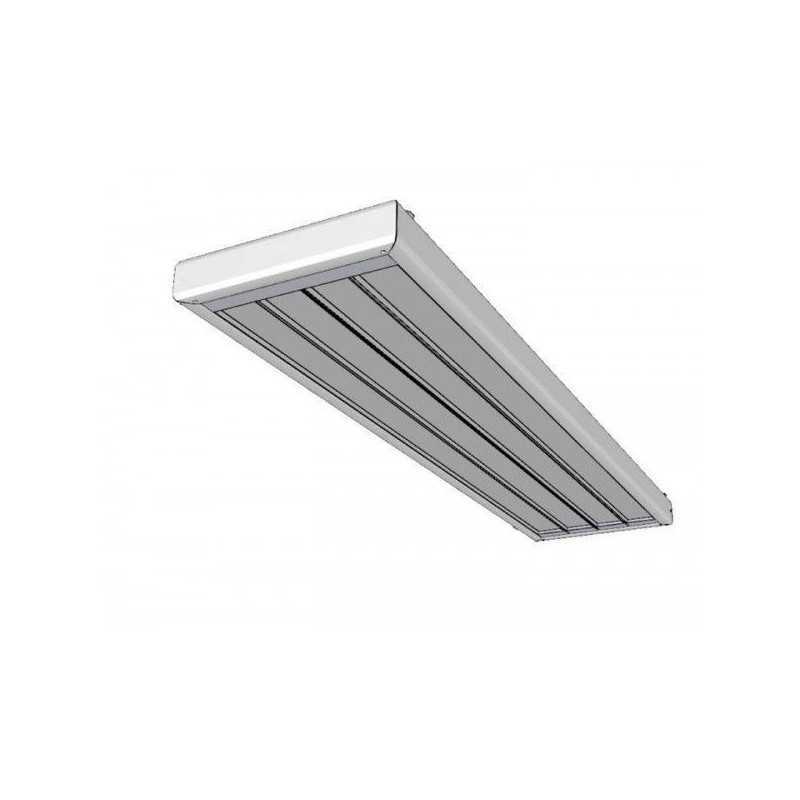 - High temperature 300 ° C (ideal for mounting heights of up to 2.8 - 2.9 meters in open areas - ex . : static workbenches, assembly areas, warehouse portions with good insulation, meeting rooms, gyms, locker rooms , salt laying). Dimensions in cm. (Lungh.xlargh.xprof.) = 167,5x22x7,5 - Weight = 9.5 kg. 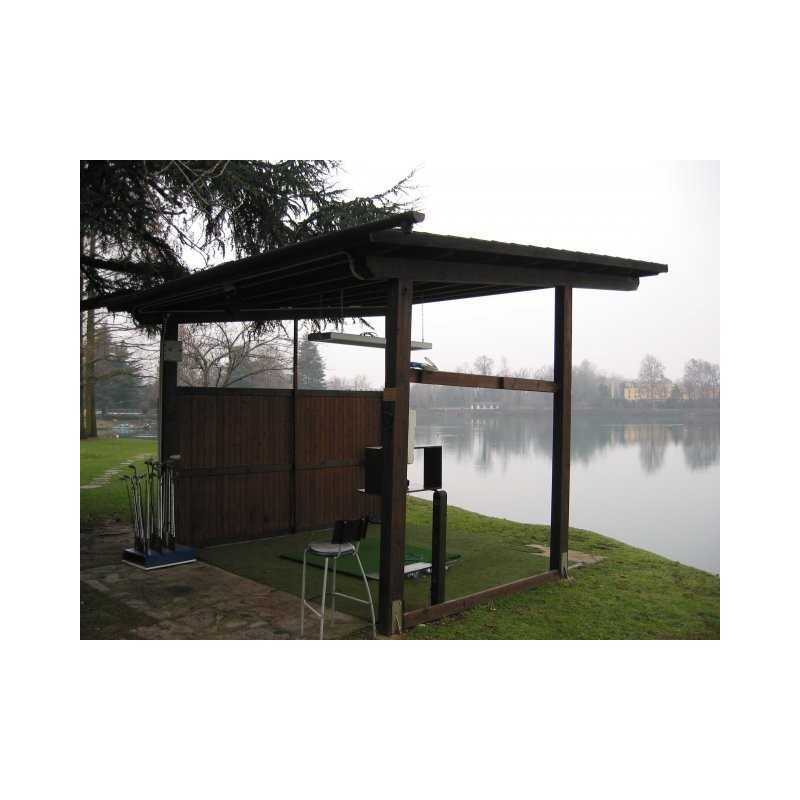 - High temperature 300 ° C (ideal for mounting heights from 2.9 to 4.0 meters in open areas - eg . 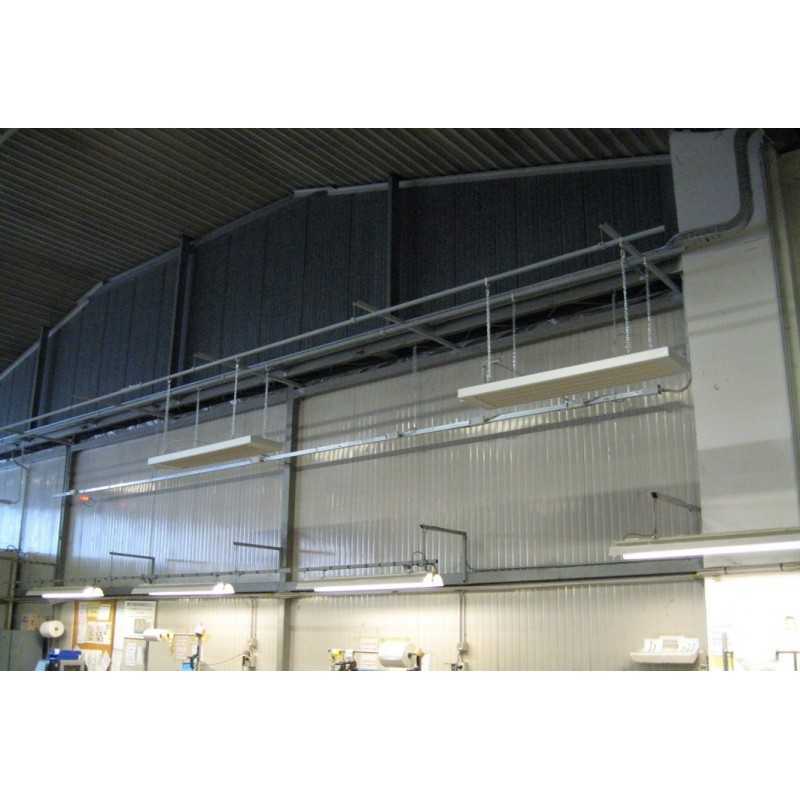 : Commercial portions of sheds areas, large work areas, assembly benches, cargo handling areas, salt conference, exhibition halls, libraries, supermarkets lanes, terrace areas, market stalls). 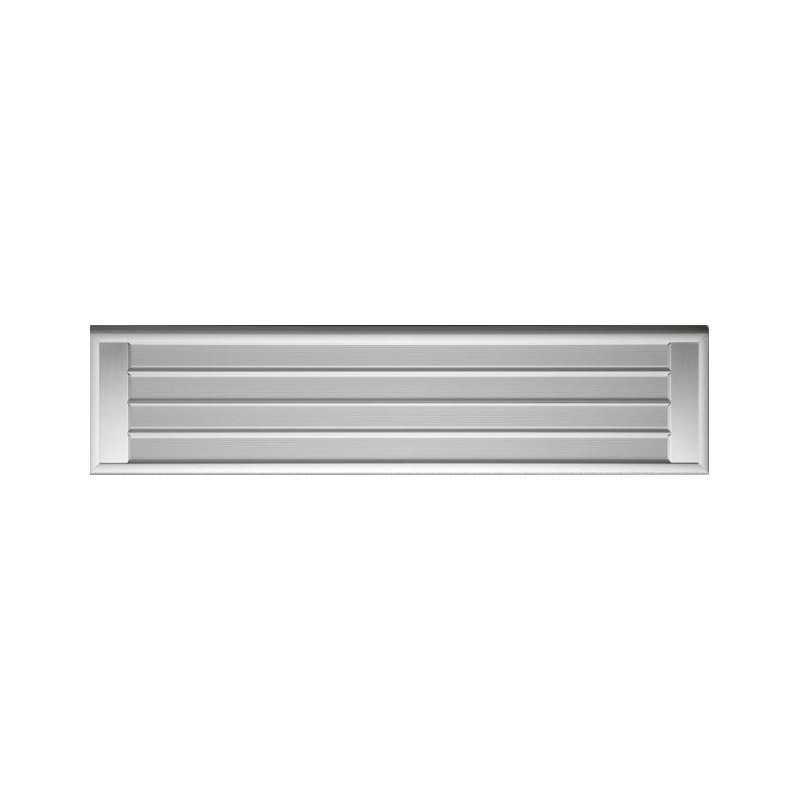 - High temperature 300 ° C (ideal for mounting heights from 4.0 to 5.5 meters in open areas with installation limits above a certain height - eg . : large portions of warehouses, buildings with high ceilings, sports bleachers, salt events and festivals, fairs, naves of churches, gambling halls, inflatable areas for children). Dimensions in cm. (Lungh.xlargh.xprof.) = 167,5x57x7,5 - Weight = 19 kg. 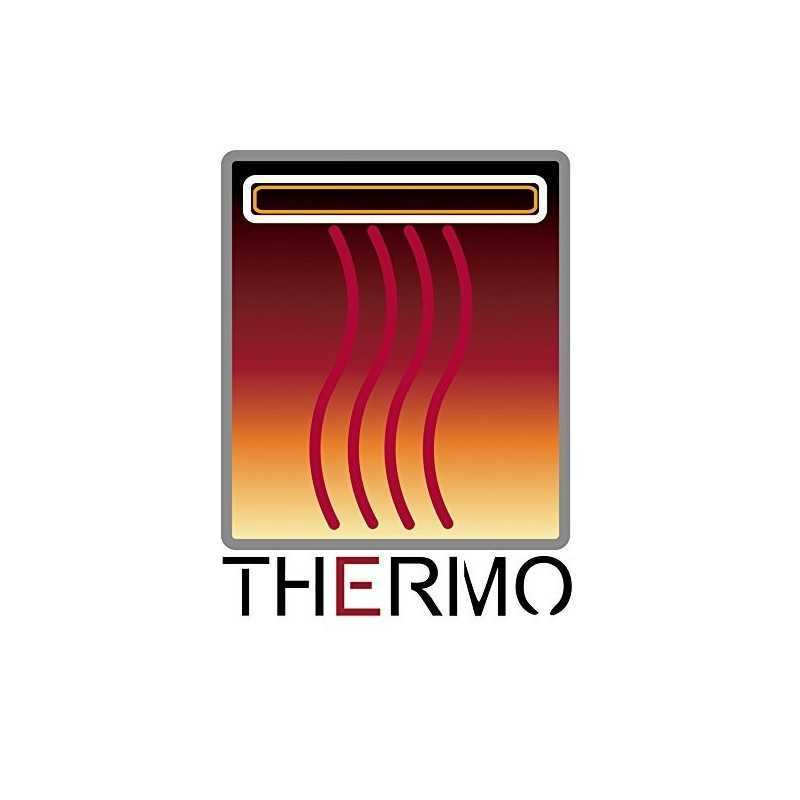 The mains connection of the THERMO panels can be 230 V single-phase or 400 V three-phase, a choice that can be done directly by the installer in accordance with the end user. 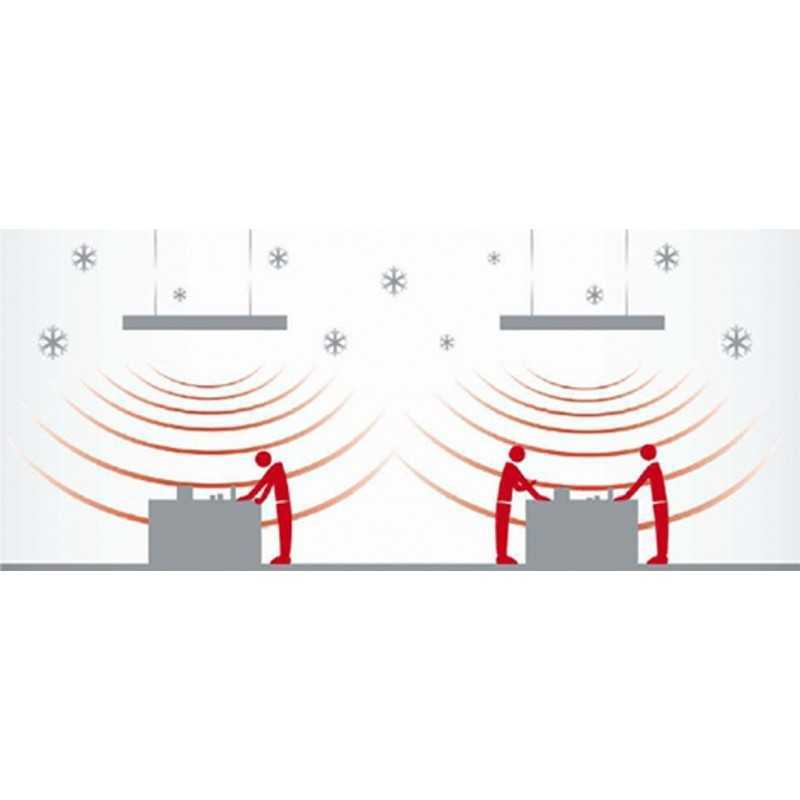 Each THERMO radiant panel offers maximum flexibility for real energy savings. 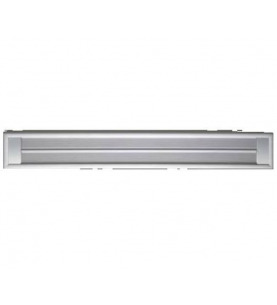 All models offered in fact can be connected to the electricity grid and made independent controls for each of the 2 (series 39) or 3 (series 55) heating elements present (and then switched to 30% or 50%). Thanks to this device will reduce the power consumption in the less cold periods without installing external thermostats. 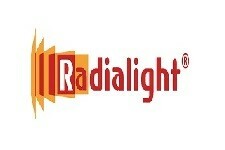 The Technical Board of RADIALIGHT: we recommend the operation of the THERMO 100% power during very cold periods (assumed 30/11 - 15/02). For the remaining days (15/10 - 29/11 and 16/02 - 28/02) it can be assumed the power of one of the two elements that make up the product, reducing by half the consumption (1750W / 1400W depending model). To do this, the products must be connected in phase. 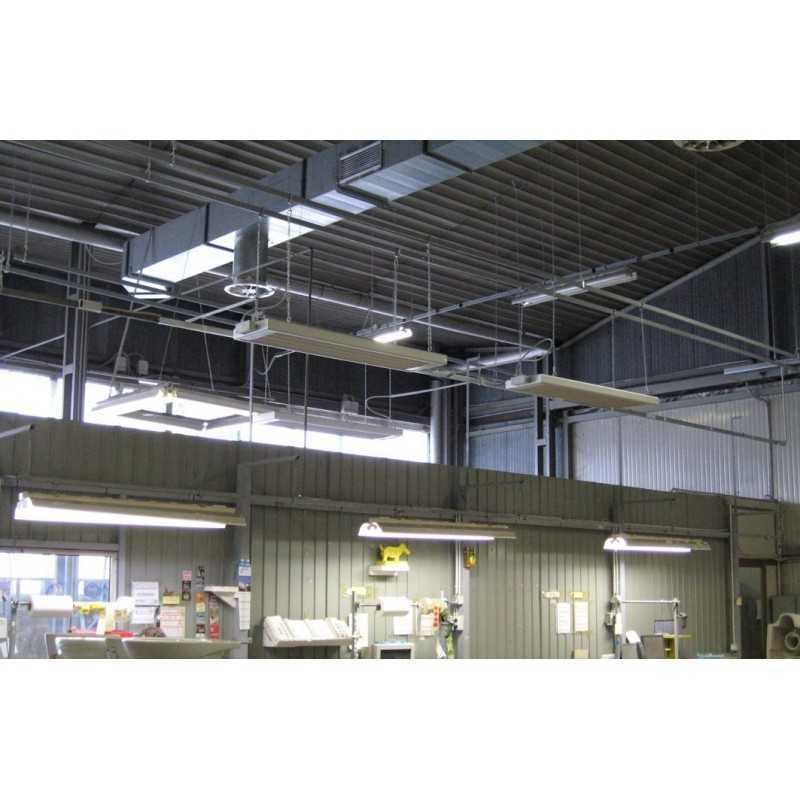 It is recommended that a maintenance of internal temperature during the hours of absence of personnel (if necessary), running the product at 50%. Installato a sospensione, in palestra, riscalda efficacemente. Consigliato.